Welcome to our site; and we are delighted you are considering OKC Sunrise Rotary Club as a home where you can place "Service Above Self". Our regular meeting time is Thursday morning, 7 am and we meet at the Hampton Inn, 920 S. 77th St, Oklahoma City, OK 73139. We have developed a hybrid membership model wherein you can attend meetings virtually; and you can read the guidelines just below. Of course, you are always welcome and encouraged to attend a "live and in-person" meeting. We look forward to having you join us! eClub members are considered full and active members of the OKC Sunrise Rotary Club, but can receive attendance credit by logging onto the club’s website weekly and viewing a program or otherwise doing an approved meeting makeup. (NOTE: Rotary International requires that a Rotary Club member maintain AT LEAST a 50% rate of attendance for each six-month period. However, many Rotarians strive for and maintain 100% attendance.) A program is viewing Rotary videos, Ted talks or reading news articles. Estimated time to spend is approximately 15-20 minutes. Other Rotary materials can be found on the Rotary International website. Service projects are the heart and soul of a Rotary Club since Rotary’s Motto is “Service Above Self.” To maintain membership, each eClub member must participate in at least two service projects per calendar quarter. 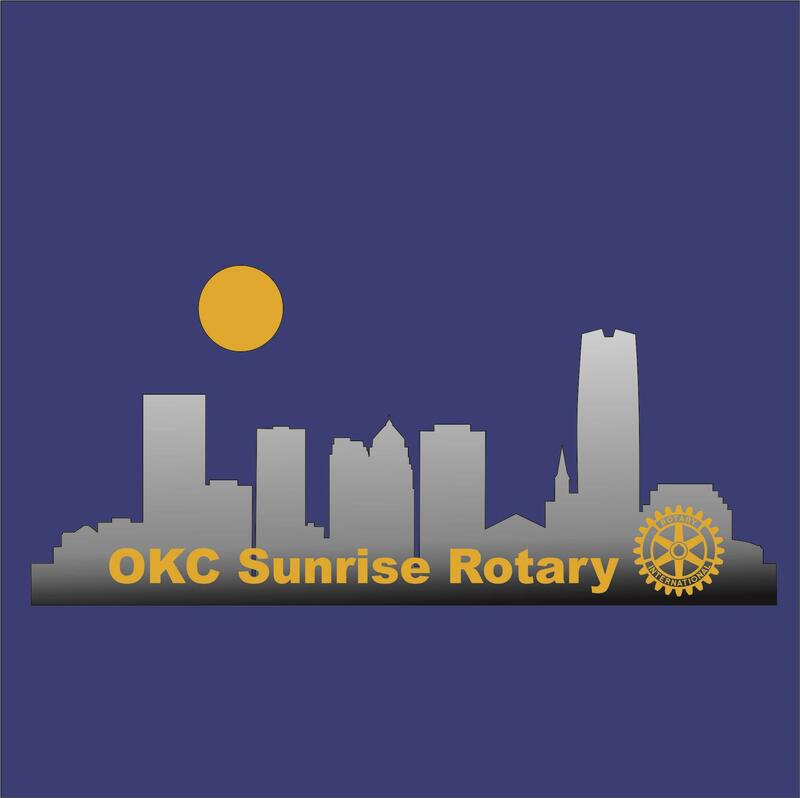 eClub members are invited and, when available, expected to attend all OKC Sunrise Rotary Club social events, many of which are held in lieu of the weekly meeting and count as weekly attendance. The membership dues for all active Club and eClub members are $75 a quarter. You will be billed quarterly and payment is required within thirty (30) days after billing. $25 is a tax deductible contribution to The Rotary Foundation. Prospective eClub members are required to participate in one service project, one social event, and attend/log into three meetings before being considered for Club membership. Each eClub member will have an experienced mentor assigned who will keep the new Rotarian plugged in to events and opportunities available in Rotary. Upon becoming a member, you will be given a user and password to access the site as a member. As you participate by viewing content on the site or any of the suggested links, simply e-mail us at service@okcsunriserotary.org with a brief summary of your viewed materials.